Some XCMG Trucks Manuals PDF above the page. XCMG was founded in July 1989. 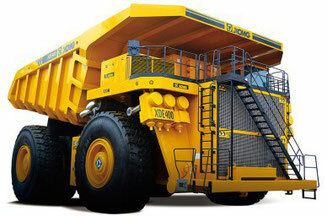 It is the largest, most competitive and most influential Chinese construction machinery corporation. XCMG – previously named the Eighth Route Army Lunan No. 8 Arsenal – is established in 1943 during The Second World War. China’s first road steam roller rolls out at XCMG in 1950. XCMG manufactured its first mechanical truck crane in 1963. The first generation ZL40 loader rolls out at XCMG during the 1970’s. In 1989, three plans and one research institute were merged and renamed XCMG. XCMG was listed on the Shenzhen Stock Exchange in 1996. In 2004, XCMG won the first China Well-known Trademark in the industry. In 2010, XCMG was awarded the “National Earthquake and Disaster Relief Hero Collective”. In 2011, XCMG won the industry’s top award in China - “The China Industrial Recognition Award ”. XCMG ranked amongst the top five in the global construction machinery industry in May 2012. In June 2012, XCMG’s four major manufacturing bases are completed and put into service. The acquisition of SCHWING was completed in July 2012. 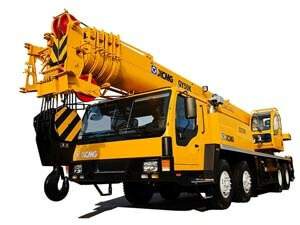 In October 2012, XCMG ranked No.1 on the list of global crane manufacturers. Read - LIEBHERR Manuals PDF & History.